Manas Dua serves as the Associate Director of msg global solutions Asia Private Limited with primary responsibility for the primary insurance delivery center. Manas has over ten years of experience in software development, support and consulting. At msg global, he is leading the delivery center for primary insurance in Singapore. Manas is also the community Lead for the Incentives and Commissions Management solution (FS-ICM). 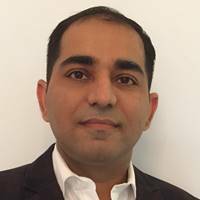 Manas joined msg global in 2013, and since then he has been actively involved in multiple SAP for Insurance implementations in APAC region. Prior to joining msg, Manas worked with SAP where he developed multiple enhancement packs (Ehp) for FS-ICM. Manas holds a Bachelor of Engineering degree in Computer Science.